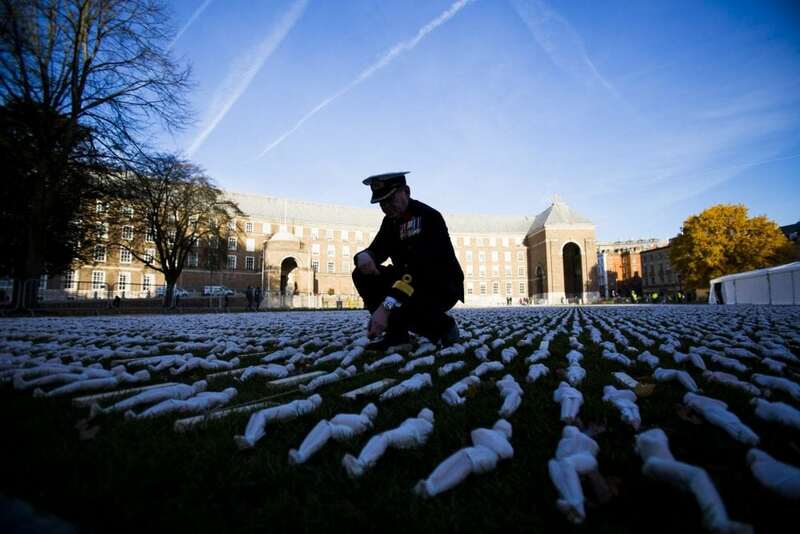 A sailor stood among the 19,240 figures in ‘Shrouds of the Somme’ today, each of which represents a soldier who died on the first day of the battle. 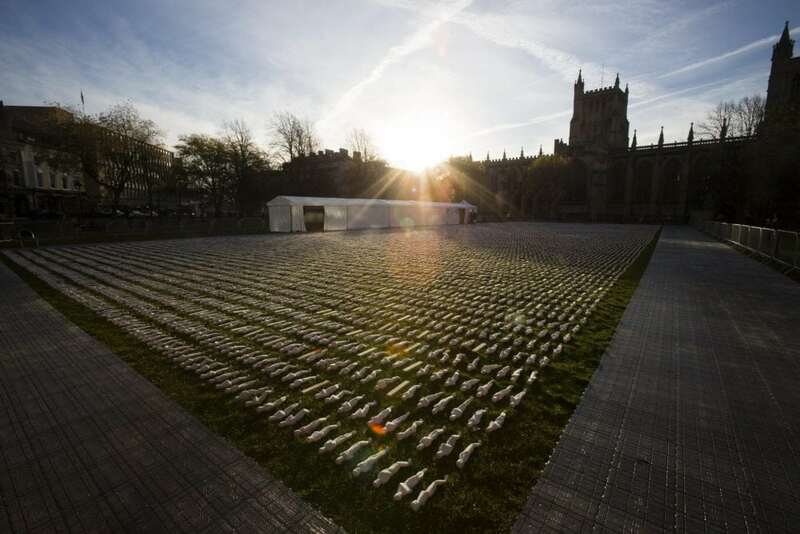 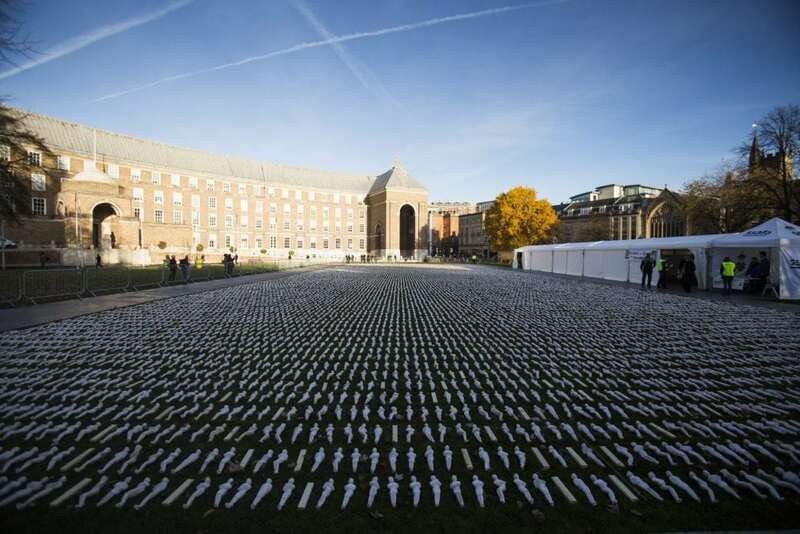 The art installation outside Bristol Cathedral has been set up to represent the death toll of the first day of the infamous battle. 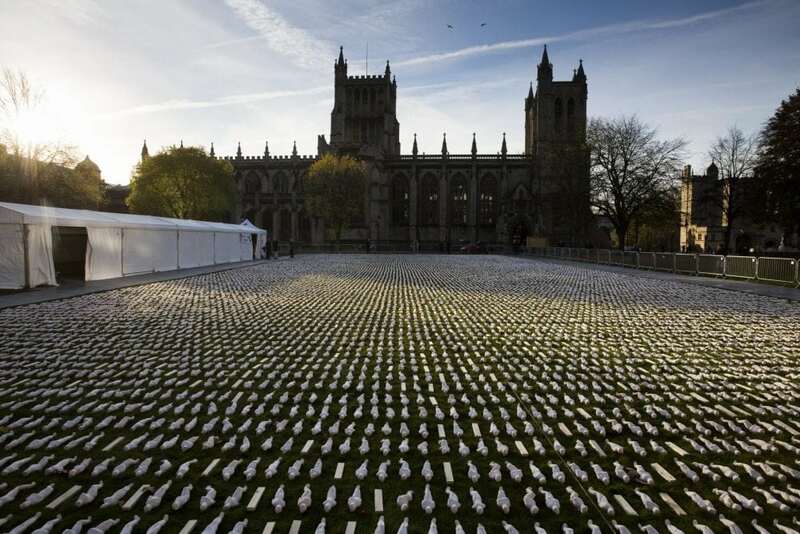 More than one million men were wounded or killed on the Somme overall, making it one of the bloodiest battles in human history.